Welcome, if you are in Gangtok, shopping becomes a must-do thing. The best-buys of the place are handicrafts, locally made artifacts, Tibetan carpets, shimmering jewelries, Sikkim tea, alpine cheese, black cardamom and other traditional outfits. 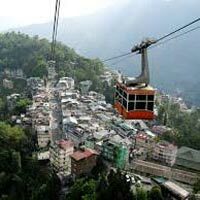 On day, have breakfast and embark on a half-day sightseeing tour to Gangtok and later in the evening proceed to Kalimpong. the day is set out to explore Kalimpong. After breakfast, leave the hotel and drive through scenic road to Deolo hill; listed among the important places of interest to visit in Kalimpong. 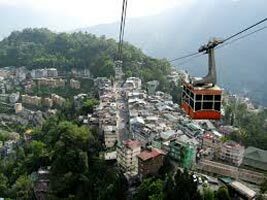 Deolo hill is one of the two hills in between which the town Kalimpong is setup. Scale the highest point of the region, Deolo hill, up to 1704m above the sea level. From the top, relish the enchanting views of Teesta River, Relli valley and gorgeous surrounding.